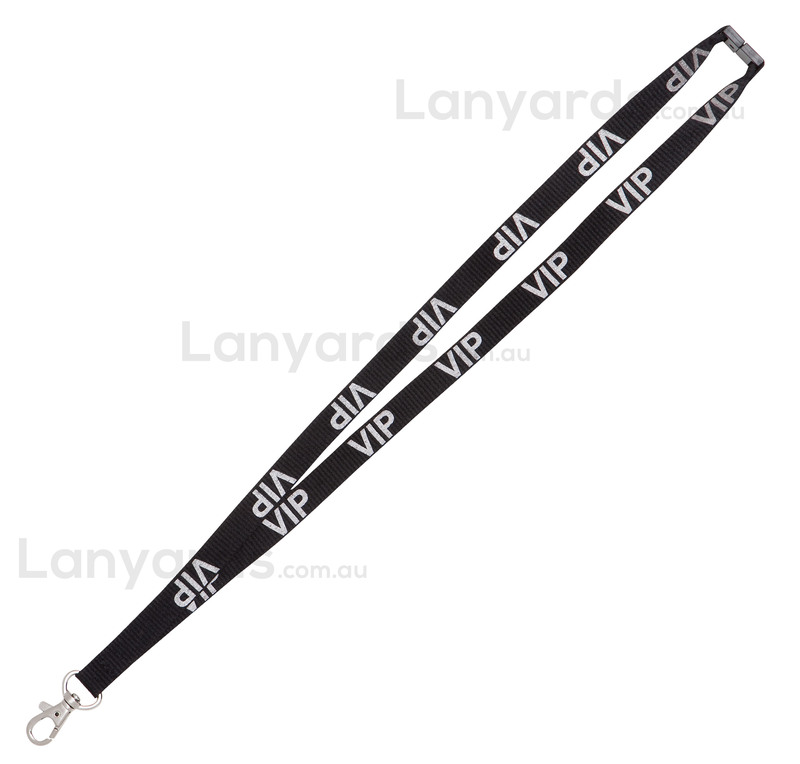 VIP Silver Lanyards have the letters VIP already printed in silver on a black lanyard for them to stand out easily at an event. A trigger hook allows you to attach most styles of card or ID holders and a safety breakaway has been added at the back for OHS purposes. They are a 15mm wide polyester lanyard and we carry plenty in stock for immediate shipment.